You’ve got your shiny new iPhone XS. Cue sounds of victory as you’re the first few to get the phone. Now, the real question is – should you gleefully rip open the box and start using your brand new phone? Or sell that phone to cover part of your phone bills, or if you’re lucky, make a tidy profit? Don’t look surprised. It’s a well-known fact that most people who either get their iPhones at a subsidised (well, sort of) price with a two-year telco contract would usually sell the iPhone to turn in a profit. How much can you make by selling the iPhone XS or XS Max under a two-year price plan? At the end of the day, selling your iPhone XS or XS Max signed with a two-year contract is about covering the subscription cost. The equation is quite simple. First, consider how much you’ll have to pay for your telco subscription over two years. Now, as long as your profit margin is at least a year’s worth of your subscription cost, that’s good enough. You could keep negotiating, but take heed that as time passes, the demand will wane and so will your selling power. To drill down into the details, you’ll need to understand one thing – not all telco price plans are created equal. Putting the costs aside, the price plans from M1, Singtel and StarHub have varying data bundles. Get the iPhone, be it XS or XS Max, 64GB, 256GB or 512GB, under M1’s MySIM 40 plan. 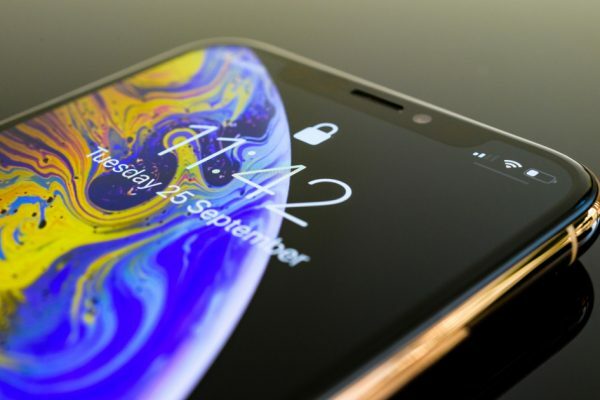 Again, putting a disclaimer out here – the profit margin we’ve found is based on the iPhone XS and XS Max launch day. The laws of supply and demand will change the prices, so you’ll have do your research and also act fast to catch the high price. However, if you are not keen on M1 for any reason and prefer to stick with StarHub or Singtel, the choice is still yours. Just mind that you’ll need to do some detailed calculations to figure out the profit margin. Wait, so I can’t actually make a profit by selling my iPhone XS or XS Max? Technically, there is one scenario where you’ll actually earn from selling your iPhone XS bought with a price plan. That is, if your monthly subscription is paid for by your company. That said, you really should be prudent about this and not go overboard with an unlimited plan that costs almost or more than $100 per month. You’ll never know if a new job will pay for your phone bills. Where can I sell my iPhone XS and XS Max? Singapore is a ripe market for iPhone reselling. There are plenty of options, both online and offline, to resell the phone. HardwareZone’s forums are known for two things – the inane topics in its Eat-Drink-Man-Woman or EDMW sub-forum and its always busy Mobiles Phones Bazaar section. The latter is considered the origin of online marketplaces, loaded with acronyms such as WTS (willing to sell) and WTB (willing to buy) to indicate if an item is up for sale. For years, iPhones are traded on the forums, where both individual sellers and shop owners offering to buy your iPhone at a “good” rate. You could go the convenient route and sell it to the shop but they might not offer the best price. Remember, you can only sell if the price covers the cost of the phone and a good chunk of your monthly subscription for it to even make sense. Carousell is still one of the most effective platform to put your iPhone up for sale. Just snap a photo, put the price, and you’re all set. It’s also “affectionately” known as Carouhell to most for the ridiculous amount of negotiation that comes with every transaction. This comes in the form of users who’ll go “bro, I’m a poor student, can cheaper or not”. Some might offer to pay by instalments or even request for you to hold onto the item till their pay arrives. So yes, you might see your blood pressure spike from using Carousell. But if you can get past the lowballers and other oddities of Carousell, it is pretty much a paradise for you to sell your iPhone XS and XS Max. Prefer a face-to-face approach when you are negotiating to sell your iPhone? Then you should make a trip to your nearby mobile phone shop, also known as ah beng shops, to offload your iPhone XS and XS Max. Besides getting instant cash for it, the whole idea of visiting ah beng shops is to look them in the eye and negotiate a price to your liking. Of course, you’ll need solid negotiation skills to counter any lowball offers. It beats having to figure out if the other side is bluffing when you are doing this in an online environment. At this point, you should have started selling your iPhone. If, by any chance, you are still in the midst of purchasing one through the telcos, make sure you use the right credit cards. With at least $1,000 spend locked into your credit card, that’s going to get you a good chunk of air miles, cashback and reward points.